SBNC brings together medical, dental and behavioral health providers to provide you with the best possible care. We use a team approach to support your health and well-being. 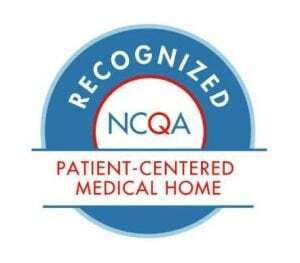 SBNC has been recognized as a Patient-Centered Medical Home because we meet the highest standards of care. SBNC provides a wide-range of services to ensure that all of your health needs are met. Our family medicine providers are often the first point of contact for people seeking health care. They are able to assess and treat a wide range of mild to moderate conditions, ailments, and injuries, while referring patients with more serious conditions to specialists for more intensive care. Our internal medicine doctors provide prevention, diagnosis, and treatment of adult diseases, especially for those patients with chronic diseases. Our pediatricians are dedicated to the health and well-being of infants, children, adolescents and young adults, we provide preventive care and anticipatory guidance. We offer Well Woman Exams to help reduce the incidents of breast and cervical cancers by providing screening, diagnostic services and follow up treatment as well as provide pregnancy prevention and family planning services. We offer programs such as Every Woman Counts and Family PACT to those who qualify to help with expenses of woman’s health. With the help of our Care Teams, we can assist with medication and disease management and help control and prevent the complications of chronic illnesses such as diabetes, hypertension and asthma. We screen for diseases, such as high blood pressure or diabetes and look for future disease risks, such as high cholesterol and obesity. During your visit, we will discuss topics such as alcohol use, safe drinking, tips on how to quit smoking and encourage a healthy lifestyle, such as healthy eating and exercise. We will also address updating vaccinations to protect against diseases. In collaboration with UC Berkeley, diabetic patients receive a vision screening that helps prevent and assess vision impairment from diabetic retinopathy. As part of SBNC’s commitment to caring for the unmet needs of underserved populations, SBNC is launching a full spectrum transgender health clinic program in our Isla Vista Neighborhood Clinic location. This clinic, the only one of its kind between San Francisco and Santa Paula, will provide primary care, hormonal care and reproductive care for trans youth, trans adults and non binary people of all ages. SBNC, in partnership with SBTAN and the LA Gender Center are providing training for our staff from the front desk to the clinical providers, in order to ensure trans proficient care for all our patients. Our dental clinics place great emphasis on education and prevention. With the support of the Assistance League of Santa Barbara, we educate our little and tall patients on the importance of healthy nutrition and good oral home care. A healthy mouth needs regular visits to the dentist for examinations and cleanings to stay healthy. Regular dental visits also play an important role in the prevention of overall health complications. 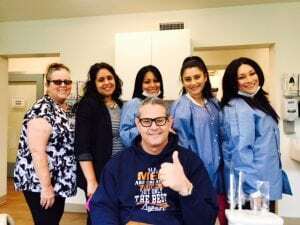 Cosmetic or esthetic dentistry simply means that we use procedures and techniques that best mimic the natural shape, color and feel of tooth structure. 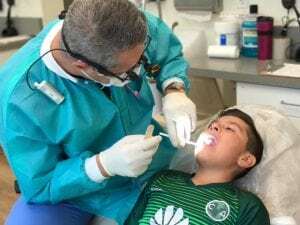 Several materials lend themselves to this, such as: Composite bonding (white fillings) or metal free ceramic crowns which prevent gray shading of the gingiva and best match the natural translucency and opalescence of tooth enamel. Many of the newer generation ceramic material are made using the latest Cad-Cam technology available, which can be bonded to the existing tooth structure thereby reinforcing the remaining tooth. Implants have become a mainstay of dentistry. A dental implant is actually a replacement for the root or roots of a tooth. Like tooth roots, dental implants are secured in the jawbone and are not visible once surgically placed. They are used to secure crowns (the parts of teeth seen in the mouth), bridgework or dentures by a variety of means. They are made of titanium, which is lightweight, strong and biocompatible, which means that it is not rejected by the body. Titanium and titanium alloys are the most widely used metals in both dental and other bone implants, such as orthopedic joint replacements. We reserve our clinics during the afternoon hours to concentrate on the needs of our younger patients. However, we will be happy to see your child at any time that suits you. We treat all infants, toddlers and children starting from birth. The earlier you visit a dentist with your child, the better we can help you maintain your child’s oral health. Your child’s oral health presents different needs at different stages of development. We are here to coach you and teach you the best methods for keeping your child healthy. Restorative dentistry pertains to repairing damaged teeth and replacing missing teeth. There are many ways to do this. We can repair damaged teeth with fillings, inlays, onlays and crowns. Tooth replacement can be achieved with implants, fixed bridges or removable dentures. Sometimes, the best solution is a combination of the different options. Each patient presents with a unique situation requiring a customized approach. The hard outside shell of a tooth protects the soft nerve and blood vessel tissues in the center. Events such as trauma or decay can injure this fragile tissue. A root canal therapy removes the injured or infected tissue. Often, this will require that the tooth needs to be restored with a crown afterwards. Removable dentures are an option for tooth replacement. They replace one or more teeth in either dental arch and can be a complete denture if they replace all teeth in one arch or a partial denture, if they replace only a few teeth. Dentures can be removed and inserted at the patient’s will and require daily cleaning. Dentures help replace lost bone and soft tissue for support, and have aesthetic purpose. Removable dentures can be replaced by dental implants. Implants also help maintain the remaining bone volume in a patient’s jaw and therefore prevent debilitating bone loss resulting from long term denture use. A denture retained by implants is known as an implant overdenture. In 2014, SBNC hired its first full time licensed clinical social worker (LCSW) with the goal of moving towards a fully Integrated Healthcare system, in accordance with the Affordable Care Act. Other clinics in Santa Barbara have had co-located primary care and behavioral health, but SBNC is the first to have shared assessment and treatment planning. 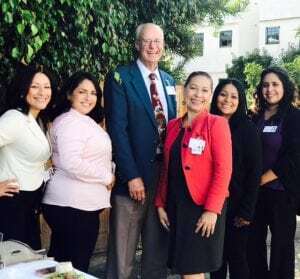 The Santa Barbara Neighborhood Clinics Behavioral Health Department collaborates with a large number of organizations that are important to Behavioral Health within our community. Among those collaborators are: CALM, Cottage Health, Council on Drug Abuse and Alcoholism (CADA), Doctors Without Walls, Family Service Agency, Hospice of Santa Barbara, Sanctuary Centers of Santa Barbara, New Beginnings, the Santa Barbara County Department of Behavioral Wellness, including varies state departments, such as the Department of Rehabilitation, and the Department of Social Services. Offers case-management for all SBNC diabetic patients. Patients receive courtesy three month reminder letters to schedule appointments and necessary labs in addition to reminder phone calls. Free nutrition classes are offered at our clinic sites in both English and Spanish (These classes are provided thanks to our collaboration with Sansum Diabetes Research Institute). Attendees will be introduced to cooking classes that are held once a month at the Sansum Diabetes Research Institute. SBNC provides vision screening for diabetic patients to help prevent vision impairment from diabetic retinopathy. Patient Assistance Programs are available to give patients access to diabetic medications. The Every Woman Counts (EWC) formerly known as Cancer Detection Program (CDP) provides free clinical breast exams, mammograms, and pap smear tests to California’s underserved women to reduce the incidence of breast and cervical cancer. BCCTP – Provides needed cancer treatment and follow-up care to low-income California residents who are diagnosed with breast and/or cervical cancer who are in need of treatment. A Cancer Prevention and Care Coordinator is available to assist patients. Santa Barbara Neighborhood Clinics is the only location who is certified to enroll patients into the Breast and Cervical Cancer Treatment Program. This program offers family planning methods and includes pap-smear exams for those who qualify. Please call our clinics for more information at 844-594-0343. We offer bio-psycho-social assessments, psychotherapy, drug /alcohol counseling, social service consultations, and connections to community resources. For Free Application Assistance for Covered California, Medi-Cal, and CalFresh (Food stamps), call one of our team members listed below. We refer to local community services and programs: Catholic Charities, Unity Shoppe, Legal Aide and other organizations. For more information, call one of our Health Promotion Services team members at one of the numbers listed below for further assistance. The Teen Health Advocates Program is offered to teens who attend junior high and high school. It is a series of eight to ten week sessions, once a week. Teens learn about different health issues while acquiring community service hours. As part of our effort to educate the community, we also do presentations at schools, churches and other organizations about our services and different health topics. You will also find us participating at different community health events; see our Events Calendar on the home page. Our list of insurances changes regularly. Please call for an update or to see if we will be able to accept your insurance. No patients are turned away due to their insurance or lack thereof at SBNC. To save you time on filling out the necessary paperwork at check-in, print the required documents you need and have them completed upon your arrival. The Patient-Centered Medical Home is a model of care that puts patients at the forefront of care. PCMHs build better relationships between people and their clinical care teams. Each of our medical clinics have been recognized as a Patient-Centered Medical Home, Level III by the National Committee on Quality Assurance, the most widely adopted Patient-Centered Medical Home evaluation program in the country. Being recognized as a Patient-Centered Medical Home means that SBNC is committed to providing patients with outstanding care. Is coordinated between the primary care provider, specialists, hospitals and others involved in the patient’s care. operations with your health insurer. the State of California Minor Consent Regulations. new notice will be available upon request, in our office, and on our web site. Santa Barbara Neighborhood Clinics (SBNC) recognizes that the efficient operation of the development office requires the maintenance and management of extensive donor and prospect records. These records often contain sensitive information that has been shared with or developed by the SBNC staff on a confidential basis. The purpose of this policy is to codify the position of SBNC on anonymity and donor/prospect records. “Records” is construed to mean all files, including electronic data, containing information on donors or prospective donors to SBNC. I. Confidentiality of Records: The Director of Development shall be responsible for maintaining the confidentiality of donor and prospect records. 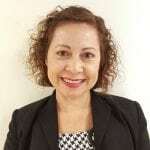 She may, in her discretion, make all or part of any record available to staff members or SBNC volunteers to assist them in executing their responsibility. SBNC will not sell, trade, or share a donor’s personal information with external sources nor send donor mailings on behalf of other organizations unless expressly granted specific permission to do so. SBNC’s auditors are authorized to review donor and prospect records as required for the purposes for which they are engaged. The Board of Directors may, by a majority vote, appoint a committee to review the donor/prospect records and report back to the Board. Any such committee shall respect SBNC’s significant interest in protecting the sensitive nature of those records. II. Publication Of Donor Names: Unless otherwise requested by the donor, the names of all individual donors will be listed in SBNC’s annual report and/or in other appropriate vehicles. SBNC will not publish the amount of any donor’s gift without the permission of the donor. Donors making gifts to SBNC by bequest or other testamentary device are deemed to have granted such permission. Donors should be aware that it is SBNC’s policy to, from time to time, publish the current market value of its funds, from which a reader may be able to determine the approximate size of a donor’s gift. III. Honor/ Memorial Gifts: The names of donors of memorial or honor gifts may be released to the honoree, next of kin, or appropriate member of the immediate family, unless otherwise specified by the donor. Gift amounts are not to be released without the express consent of the donor. IV. Anonymous Gifts: The Director of Development is authorized to accept anonymous gifts to the Foundation. In the event the Director of Development is uncertain about the desirability of accepting an anonymous gift, she shall consult with the Chief Executive Officer. The Chief Executive Officer shall disclose to the Board Executive Committee, upon a request by a majority of the Executive Committee, the names of any anonymous donors. V. Disclosure of Pending Gifts: In the event that the Director of Development concludes that SBNC is likely to receive, in the immediate future, a gift equal to or greater than five percent of its then existing assets, the Chief Executive Officer shall notify the Chair of the Board. The Chair and the Chief Executive Officer shall determine the appropriate course for notifying the Board of Directors. I affirm that I have read and agree to abide by this Policy on Confidentiality of Donor Records and Donor Anonymity. I. To be informed of SBNC’s mission, of the way SBNC intends to use donated resources and of our capacity to use donations effectively for their intended purposes. II. To be informed of the identity of those serving on SBNC’s governing board and to expect the board to exercise prudent judgment in its stewardship responsibilities. III. To have access to SBNC’s most recent financial statements. IV. To be assured donors gifts will be used for the purposes for which they were given. VI. To be assured that information about private donations is handled with respect and with confidentiality to the extent provided by law. VIII. To be informed whether those seeking donations are volunteers, employees of SBNC or hired solicitors. IX. To have the opportunity for donors names to be deleted from mailing lists that SBNC may intend to share. To ensure proper record retention and destruction processes, Santa Barbara Neighborhood Clinics (SBNC) policy is to ensure that necessary records and documents are protected and maintained, and to ensure that records that are no longer needed by SBNC are destroyed — including email records, web files, text files, sound and movie files, PDF documents and all Microsoft Office or other formatted files. Records include personnel files, customer, patient and donor information, financial records and general correspondence. See Record Retention Schedule for a complete list and retention requirement. Employees with responsibilities requiring them to create, revise, handle, or maintain financial, personnel, patient and donor data, are responsible to perform these functions confidentially, safely, diligently and with respect for these records’ importance and confidentiality. In the event SBNC is served with any subpoena or request for documents; any employee becomes aware of a governmental investigation or audit concerning SBNC, or the commencement of any litigation against or concerning our organization, they are required to inform the CEO immediately. Any further disposal of documents shall be suspended until such time as the CEO, with the advice of counsel, determines otherwise. The CEO shall take such steps as is necessary to promptly inform all staff of any suspension in the further disposal of documents. Only the CEO may decide and direct employees about when, how and what financial, personnel, patient and donor records will be destroyed. This direction will be in writing. Employees are subject to immediate discipline, up to and including termination of employment, for destroying or failing to preserve and maintain any SBNC records without prior written notice from the CEO.